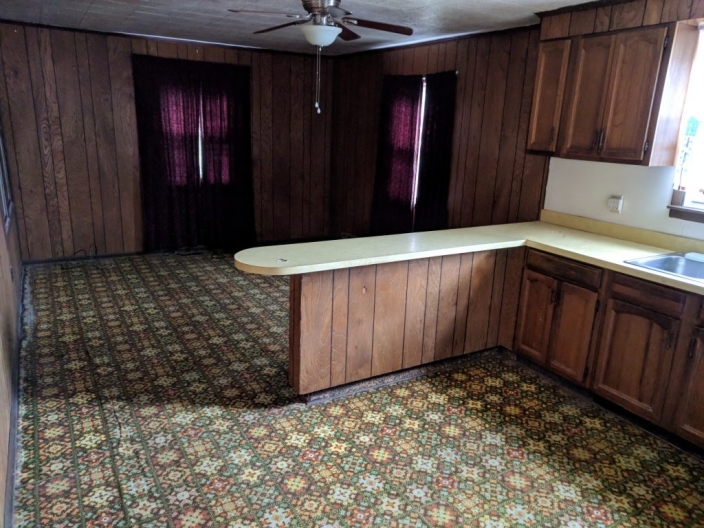 I feel the need to start this post off by saying this house is sold. Just days after listing the house online, it sold…thanks to this amazing renovation!! To give you an idea of the style of the home before we got involved, here is a picture that I think pretty much sums it all up. This floor is actually carpet. The panelling was in every single room. The light fixtures were all gold. The house needed to be brought into this century. Here are a few more ‘before’ pictures to sufficiently scare you. A big part of my involvement with these renovations is the space planning. I go in when the buyers close and tell them how to lay the house out in addition to the typical material and fixture suggestions. This home was a one bath three bed house, so we decided to relocate the existing laundry and turn it into a master bath-a pretty easy fix. 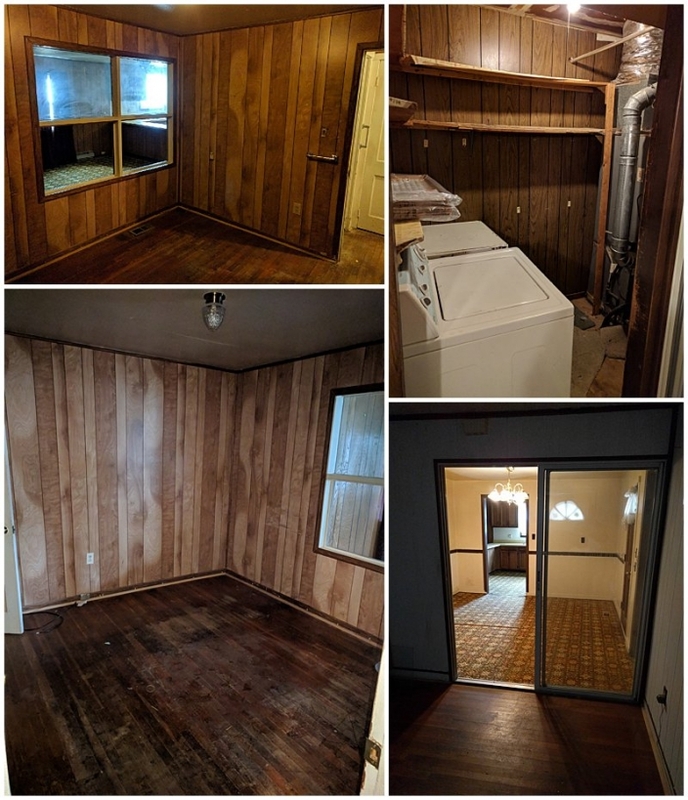 The easy updates were the cosmetic ones… floors came up due to some water damage issues, kitchen was re-done, the walls were re-surfaced, paint everywhere, light fixtures changed. 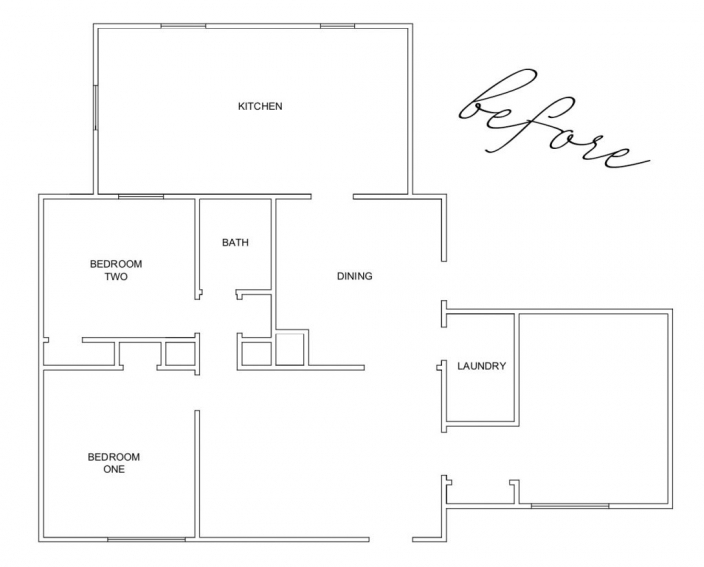 Once the home was done, the owners had a staging company come in and stage the space…you know i’m working on getting that job for the next one so I can take credit for the whole transformation! And as for the exterior…isn’t it amazing what some paint and landscaping can do for the curb appeal of the house?! If you are purchasing a home in the Hampton roads or outer banks area (or anywhere in between) please keep Style by Design in mind for your design plans!! I LOVE projects like these. © 2019 Style by Design|ProPhoto Blog Template by NetRivet, Inc.